Turning Your Home into the Healthiest Place on Earth! Multi-Tiered compensation plan pays 7+ levels deep! Disease thrives in an acidic environment. Electron-rich alkaline water helps increase bicarbonate buffers in the blood, assisting in the neutralization of acidic waste. When it comes to being the best, top athletes know that dehydration is a critical component of staying ahead of the competition. That's why professionals prefer alkaline water. To protect itself from acidosis, the body plays a clever trick, turning excess acidic waste into solid waste and stores it as fat. Flush fat along with toxins with alkaline water. Evontis WaterCeuticals are designed to keep you running at your best level. Get everything you need to keep your alkaline lifestyle running smooth, at home and on the go. Evontis R-O-A-M bridges the gap between the hi-tech world of affiliate marketing and the leveraged residual income of person-to-person network marketing. Find out what's in it for you! Most affiliates get involved to earn enough from referrals to cover their own expenses. But what happens when that same concept is replicated by your referrals? The Executive Team drives the success of our organization, and leadership starts at the top! We believe that character matters when you choose with whom to do business. Can we be trusted to help create your success? Joining the Evontis ROAM team as an Elite Business Owner costs very little and is instantaneous. Do it now while you're thinking of it! 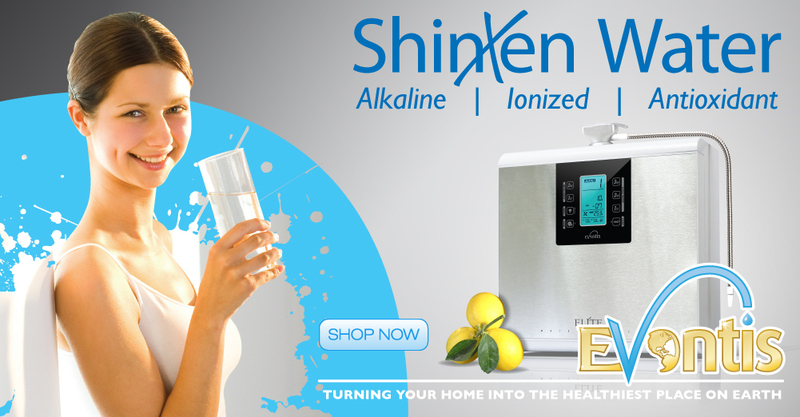 Get access to all the training and education materials you'll need to introduce others to alkaline water. Educated consumers make better choices.